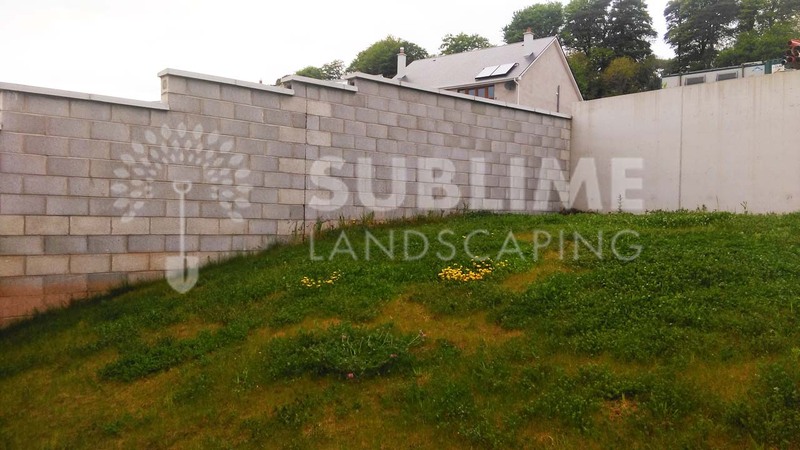 This client had a north facing sloped garden which was unusable in Glaunthaune, Co.Cork. 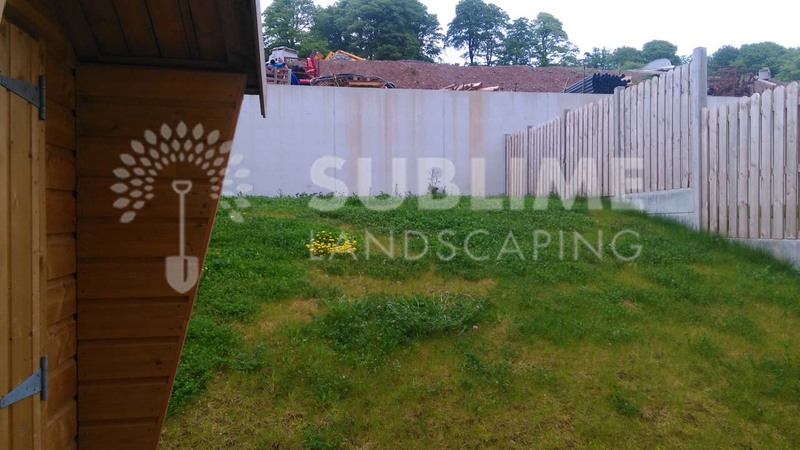 The client wanted to use warm colored materials, create an area by the house to sit out, and easy access to an upper level lawn area. 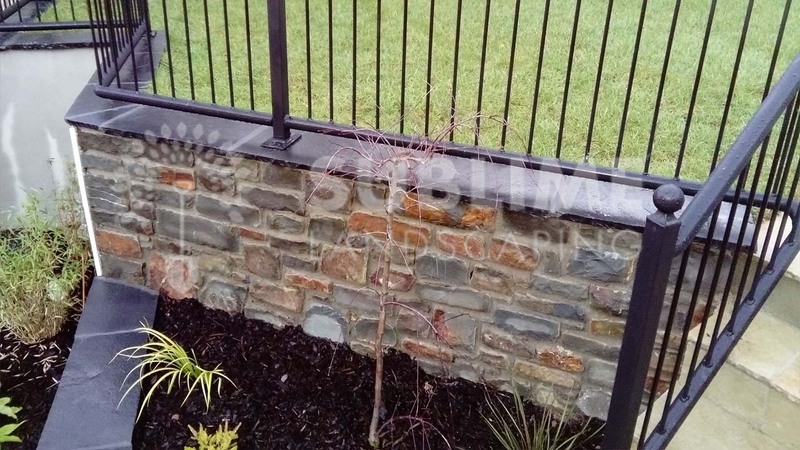 Railings were installed to minimize the severity of high walls. 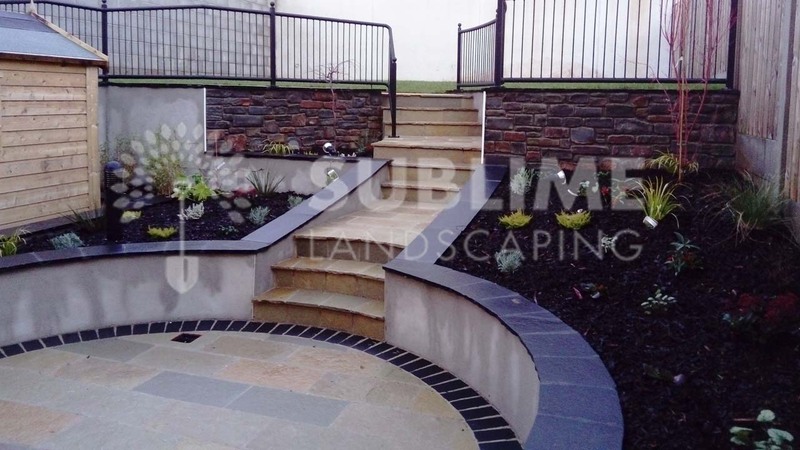 Electrics, low maintenance planting & mulching were also installed in this landscape design. 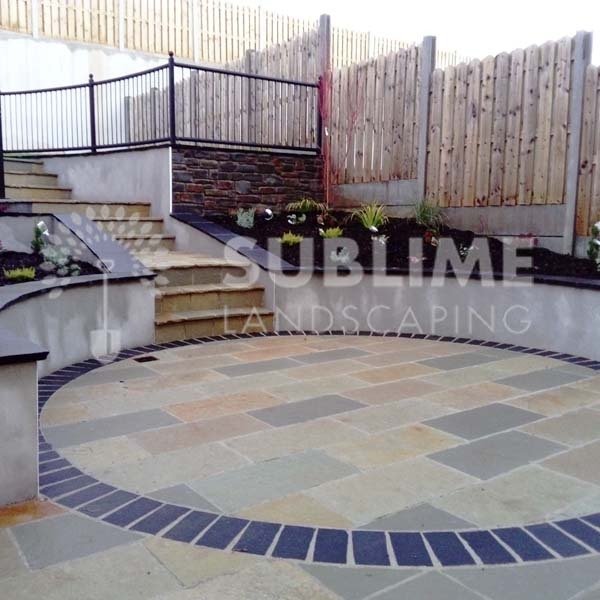 I contacted Sublime Landscaping who came up with a design to suit our requirements and what were wanted out of the Garden. 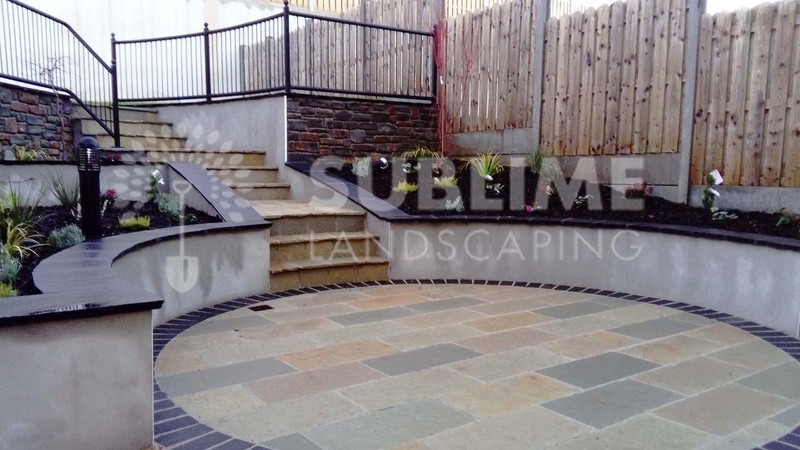 Sublime had great alternatives to our original ideas to bring the project into budget. 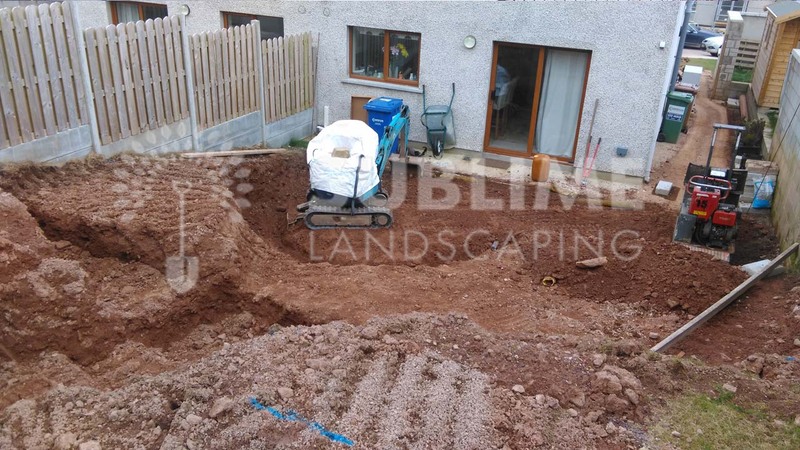 Paul & Jason have a fantastic eye for detail and endless knowledge on all things related to construction landscaping. 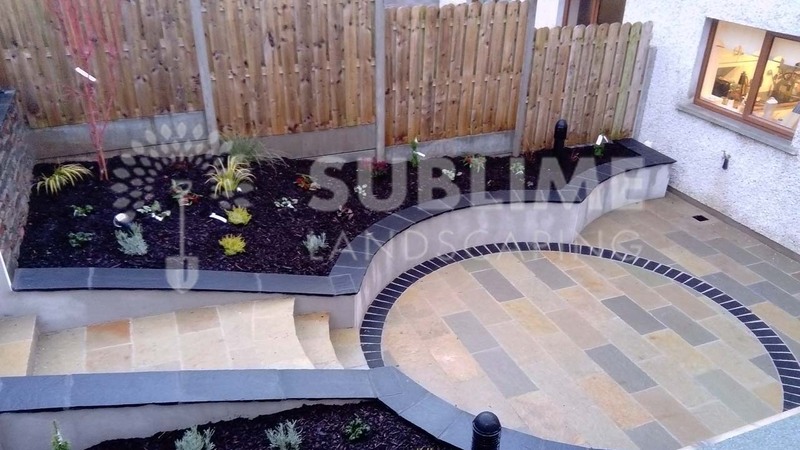 Their ability to communicate with us and their relaxed friendly attitude towards getting our Garden Design built was top notch. 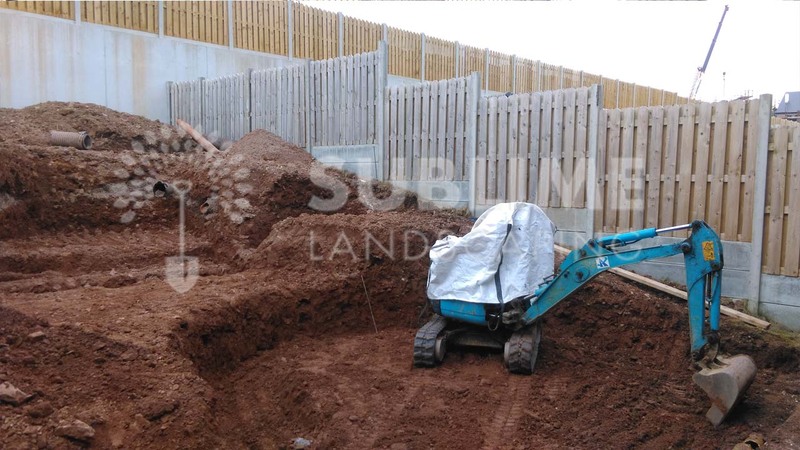 I would have no hesitation in recommending Sublime Landscaping as a one stop shop for all outside landscape construction and design needs. Fantastic experience with these guys.